A fiery left-hander known for his two-fisted backhand, Jimmy Connors grew up in East St. Louis and Belleville, Illinois. Playing tennis from the age of two, Connors thrived in St. Louis’ active tennis scene and honed his amazing service return on the slick wood courts of the St. Louis Armory. He won his first pro tournament in 1972 and in 1974 he posted an astounding 99-4 match record while winning three of the four major titles. Ranked #1 in the world for over five years and in the top 10 for sixteen, Connors won 109 tournaments, including eight majors, in a career marked by versatility and tenacity. 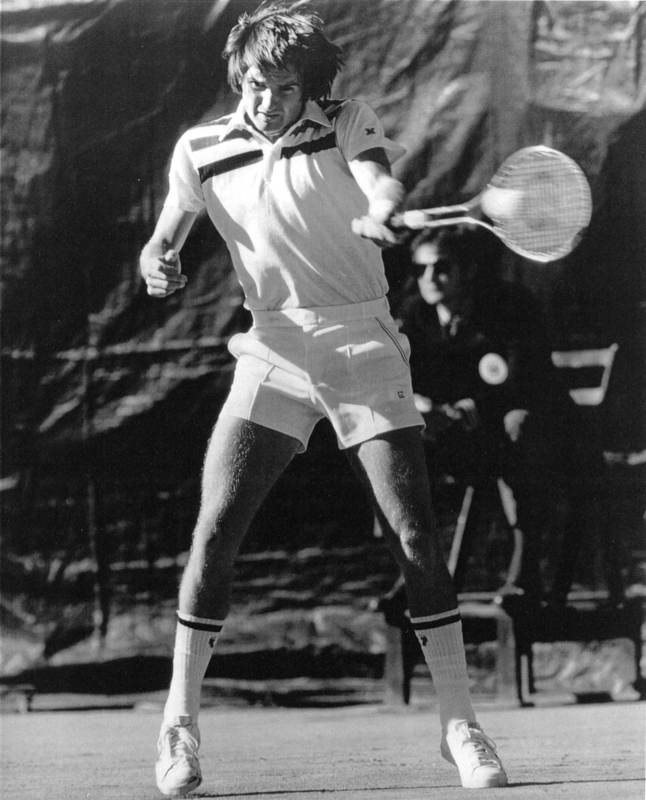 A five-time U.S. Open champion, Jimmy Connors was inducted into the International Tennis Hall of Fame in 1998.